To congratulate Kathryn Halford (nee Grant) on being awarded OBE for her services to nursing. Kathryn learnt to ring at this tower. First submitted Sunday, 25 November 2018 at 19:27:30 by Francis M Byrne. 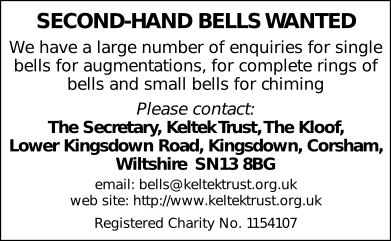 Sent for publication in The Ringing World on Sunday, 25 November 2018 at 19:27:49, and printed in issue 5620.